A Brief History of Humankind By Yuval Noah Harari. A Gentleman in Moscow: A Novel by Amor Towles. By: Amor Towles. Narrated by: Nicholas Guy Smith. Release date: 09-06-16. Length: 17 hrs and 52 mins. Voyager By Diana Gabaldon. By: Diana Gabaldon. Unabridged Audiobook. Series:Outlander, Book 3. Narrated by: Davina Porter. Length: 43 hrs and 46 mins. The books cover the period of the Roman Empire after Marcus Aurelius, from just before 180 to 1453 and beyond, concluding in 1590. The shows were sponsored by Dreft and Mirro (cleaning products). Thirty nine shows, from the full syndication of fifty two shows, aired over Mutual stations from January 1, 1952 through June 24, 1952 and September 30, 1952 through December 30, 1952. George R. R. Martin Audiobooks, -A Storm of Swords, 27 Cassettes. -A Game of Thrones, A Song of Ice and Fire 19 cassettes. -A Calsh of Kings, cassettes 1-10. -A Clash of Kings, cassettes 11-21 All books are read by Roy Dotrice. Condition is Good. Shipped with USPS Media Mail. 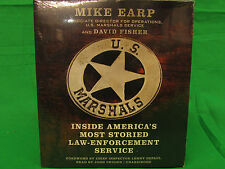 Mike Earp spent his career with the US Marshals Service, reaching the number three position in the organization's hierarchy before he retired. By: Diana Gabaldon. Unabridged Audiobook. Series:Outlander, Book 6. Narrated by: Davina Porter. Length: 57 hrs and 48 mins. Our titles have won multiple Audie Awards, Odyssey Honor Awards, AudioFile Earphones Awards, and Publishers Weekly Listen Up Awards. Unabridged, 14 CDs, 17 Hours. Mississippi Jack. Three Different Recordings of Three Different Events all Related to Early Manhattan Alcoholics Anonymous. The History of the Manhattan Group 1955 at Manhattan Group. The History of Early AA in the New York area 1953 Manhattan Group. Title: Historic Houses, Castles and Gardens in Great Britain and Ireland 1989 Item Condition: used item in a good condition. Published On: 1989-02-13 SKU: 9053-9780948056123. Will be clean, not soiled or stained. Authors : Blasis, Celeste De. Night Child. Title : Night Child. Product Category : Books. Binding : Paperback. Condition : Good. List Price (MSRP) : 2.99. Publication Date : 1989-01-20. By: Lisa Wingate. Unabridged Audiobook. Before We Were Yours: A Novel. Narrated by: Emily Rankin, Catherine Taber. Publisher: Random House Audio. Thwarted at every turn by her enemies, Jacky is forced to acknowledge her shortcomings and possibly lose her beloved Jaimy Fletcher. Boston Jacky. Our titles have won multiple Audie Awards, Odyssey Honor Awards, AudioFile Earphones Awards, and Publishers Weekly Listen Up Awards. Could he really be such a depraved rogue?. By Diana Gabaldon. Breath of Snow and Ashes. With chaos brewing, the governor calls upon Jamie Fraser to unite the backcountry and safeguard the colony for King and Crown. But from his wife Jamie knows that three years hence the shot heard round the world will be fired, and the result will be independence—with those loyal to the King either dead or in exile. It turns out that bloodthirsty buccaneers have nothing on the young ladies at the Lawson Peabody School! As Jacky observes, "…they’re like any bunch of thirty or so cats thrown in a sack and shaken up good. Unabridged 2017 Audiobook. Grand Central, Penn Station, Radio City Music Hall―for almost two decades, no place was safe from the man who signed his anonymous letters “FP” and left his lethal devices in phone booths, storage lockers, even tucked into the plush seats of movie theaters. “Rush Revere here, along with my chatty horse, Liberty! Wait a minute. . Liberty?. Where did he go?”. “Reporting for duty, Captain Revere!”. Fast-forward a few years, and we’ll help his brave wife, Dolley, risk her life to save an important portrait from the White House as the British set Washington afire! In Freedom's Cause The Story of William Wallace by G.A. Henty. MP3 Audio Book CD. If there are any problems I will be here to deal with it personally. Lifehouse Theater On-The-Air. Hiding in Plain Sight is myfavorite Lifehouse Theater CD. It is very well done and will have you on the edge of your seat. You wouldn't want children younger than that listening by themselves. Publisher: Philip's ISBN 13: 9780600558682. Title: Ordnance Survey Guide to Historic Houses in Britain Item Condition: used item in a good condition. All used books sold by Book Fountain All new books sold by Book Fountain. 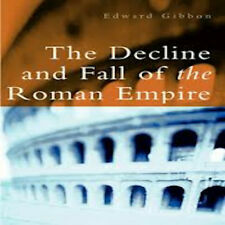 Unabridged Read by Kirby Heyborne. All 12 disc are accounted for. SO IF THE BOOK LOOKS A SOFTCOVER AND IVE PUT IT AS HARDCOVER IT COULD BE A GLITCH. BUT FOR SURE I WILL SEND IT STRAIGHT AWAY! The Left Behinds by David Potter -- CD Audiobooks, Unabridged. The iPhone that Saved George Washington. This audiobook is read by Khristine Hvam. The audiobook has been spot tested and the parts that were tested were in working order, but I have not listened to the entire audiobook and therefore it is being sold as-is. Martin Gabel appeared in character in episode 82. Only 75 episodes are known to exist in recorded form. The series was first heard on July 7, 1947 under the title CBS Is There. 84Episodes in Total (MP3 Format). This is followed by a talk about the early history of Alcoholics Anonymous. The Prince by Niccolo Machiavelli 4 CD Audio Book Set. 3 hours 55 mins. We love hearing from our customers. Isbn 1400100593. The year is 1901. Buffalo, New York, is poised for glory. But nothing prepares her for a startling discovery: evidence of a murder tied to the city’s cathedral-like power plant at nearby Niagara Falls. Even though she suspects that an upper-class clique is quickly closing ranks to protect the real killer, Claudine vows to do her utmost for Dai. A Christmas Hope by Anne Perry. She no longer expects closeness with her coldly ambitious husband, and she has nothing in common with their circle of wealthy, status-minded friends. CD 4: Wild Weasels. CD 7: Tunnel Rats. Bill Sparks, Mike Gilroy, Tom Wilson, and Jerry Hoblit were among the wild blue yahoos who defied early 100% failure rates to openly engage their planes in cat-and-mouse exercises with enemy missiles. SO IF THE BOOK LOOKS A SOFTCOVER AND IVE PUT IT AS HARDCOVER IT COULD BE A GLITCH. IF YOU BUY QUITE A BOOK I WILL BE HAPPY TO FILL A SATCHEL FOR YOU. What you see is what you get. by: Randall Wallace. Audiobook on cassette. Case shows wear around the edges of the cover. Cassettes are in very good condition. Read by: Alan Shearman--includes interview with author. Black Saxon (Masquerade historical romances). Title: Black Saxon (Masquerade historical romances). Authors: Andrews, Alex & George, Catherine. SKU: 4099216. Condition: Used; Good. New, still in shrink wrap. The armies of King Stephen & Empress Maud, the two royal cousins contending for the throne, have temporarily exhausted each other. January 27, 1989. February 25, 1994. August 30, 1985. Canyon Country, CA. Washington, DC.